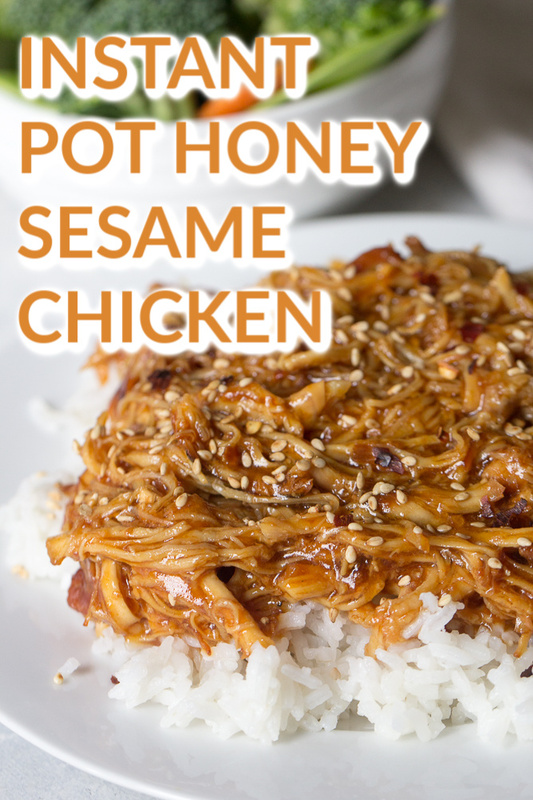 Instant Pot Honey Sesame Chicken has quickly become one of the most popular recipes on our site! Dinner is ready in a matter of minutes using your Instant Pot, including the rice. 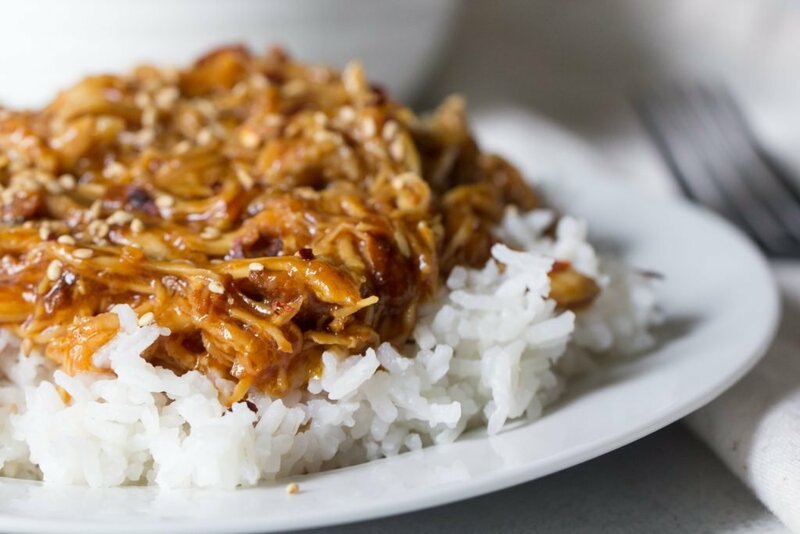 One of our very first recipes on Six Sisters’ Stuff was our Slow Cooker Honey Sesame Chicken. Little did we know back then just how popular it would become! It quickly jumped to our most popular recipe and it’s stayed there for about 6 years, even still today! We knew we had to be able to convert this recipe over to the Instant Pot, and we’ve had so many requests to do so. Turns out, it only takes about 30 minutes to make in the instant pot and is just as good, if not BETTER than the slow cooker version. Haven’t jumped on the Instant Pot bandwagon yet? Well, you may want to consider it just for this recipe alone! 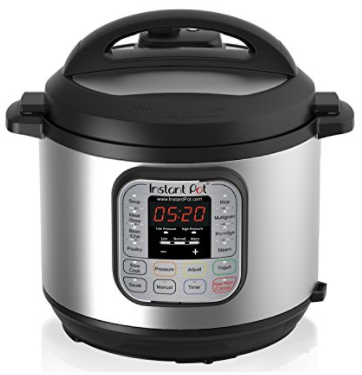 Instant Pot is a seven-in-one multi-cooker that works as an electric pressure cooker, slow cooker, rice cooker, yogurt maker, steamer, warmer, and sauté pan all in one. Sounds a little too good to be true, but we promise it’s worth every penny! I haven’t used my slow cooker in weeks, which is saying a lot for this 3-4 times a week slow cooking girl! Place your chicken in the bottom of the Instant Pot. 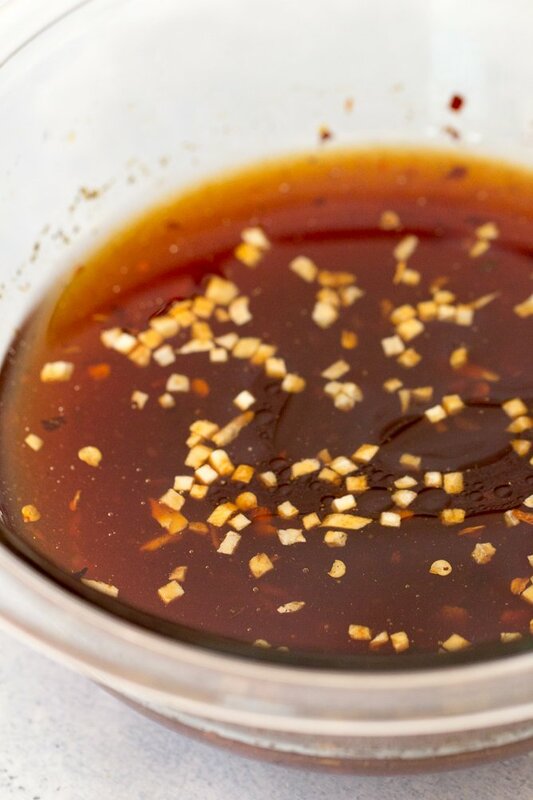 In a small bowl, combine honey, soy sauce, onion, ketchup, oil, garlic and pepper flakes. Pour over chicken and put your Instant Pot lid on and seal. Cook on the Meat setting for 20 minutes and then quick release once the 20 minutes is up. Remove chicken from pot, leaving the sauce. Dissolve 4 teaspoons of cornstarch in 6 tablespoons of water in a small bowl and pour into your Instant Pot with the sauce. Stir to combine. Push the Saute button and cook sauce for about 5 minutes or until slightly thickened. 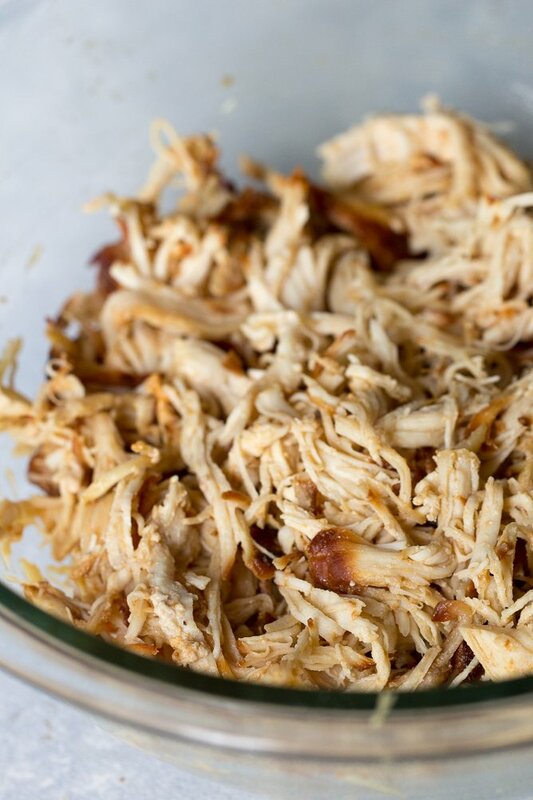 Cut or shred your chicken into bite sized pieces, and return to pot and toss with sauce before serving. Sprinkle with sesame seeds and serve over rice or noodles. You can also sprinkle more red pepper flakes on top if you want more heat. Can I cook my rice in the instant pot? Remove your chicken and set it aside. I rinsed my instant pot a few times in the sink as well. To make rice in your Instant Pot you need to have the same ratio rice as you do water. Rinse and drain 2 cups of rice (we used brown and jasmine) and dump it into your Instant Pot. Add 2 cups of water. Seal your instant pot with the lid and push the Rice button. It will cook for 10 minutes then quick release. You will have PERFECT rice! Looking for more delicious instant pot recipes to try? Here are a few of our favorites! Cook on the Meat setting for 20 minutes and then quick release once the 20 minutes is up. Remove chicken from pot, leave sauce. Dissolve 4 teaspoons of cornstarch in 6 tablespoons of water in a small bowl and pour into your Instant Pot. Stir to combine with sauce. Push the Saute button and cook sauce for about 5 minutes or until slightly thickened. Cut the chicken into bite size pieces, then return to pot and toss with sauce before serving. Sprinkle with sesame seeds and serve over rice or noodles. I removed my Honey Sesame Chicken from the Instant Pot and put in a bowl and cooked my rice in my Instant Pot. To make rice in your Instant Pot you need to have the same ratio rice as you do water. I used 2 cups of Brown Jasmine Rice. To make it: Rinse and drain 2 cups of rice and dump it into your Instant Pot. Add 2 cups of water. Seal your instant pot with the lid and push the Rice button. It will cook for 10 minutes then quick release. You will have PERFECT rice! In this video we’re making our Honey Sesame Chicken in the slow cooker! So is Instant Pot basically a pressure cooker? Yes It is a Pressure Cooker! Would I need to up the time if I used frozen chicken breasts? You will need to add about 5 to 10 minutes to the cooking time for frozen chicken. Would if I made this into a freezer meal? I'm trying to do some before baby comes. Do u know how much to cook for etc if it was all frozen? It have u done any freezer meals for the instant pot? I have not done freezer meals with the Instant Pot yet. I'm still trying to figure out how the Instant Pot works, and my last freezer meal with the Instant Pot didn't work! ha ha! But stay tuned, I'm going to get the Instant Pot figured out! I have a power cooker xl I received for Christmas. I am having trouble getting things done per recipes given in book that was included. I wonder if it is the high altitude. I live in Cedar City, Utah. Do you have any suggestions? That is why I just gave in and got a instapot this Christmas! I couldn't following recipes with my xl. Sorry! I feel your pain!! This tasted really good, but when I did the quick release it splattered all over the place! I'm assuming this didn't happen to you? The only alteration I did was using only 2 chicken breasts. It happened to me too! Sesame Honey sauce EVERYWHERE! I saw a video where someone draped a kitchen towel over the steam vent before using tongs to release the steam. I think I will try this technique when I make this recipe! About to make this...but would like to add some veggies on the side or to the actual dish. Do you have any suggestions for which green vegetable might pair well with this chicken dish? Thanks. I would definitely do broccoli with this. Maybe some bell pepper, too. I am new to pressure cooking and made this last night. The flavor was great but my chicken was really overcooked. I used 3 large breasts, cut up. (they were really big!) I cooked it for 20 min on High - I have the Cuisinart PC, not IP - and then did the quick release which made a huge mess! Like I said, the flavor was good, but way overcooked. Was it because I cut up the chicken first? And why the big mess? Thanks for any advice! May I ask how big the chicken breasts should be? 4 chicken breasts is about 2 pounds of chicken. Do you clean out the instant pot before you put the rice in it? I didn't know if the flavors from the chicken made the rice even better. I just made this today and it was delicious! I did not change any ingredients, but I did reserve one cup of the sauce before I thickened it. To that I added one cup of water to make two cups of liquid and I cooked the rice in the Instant Pot in that. It was SO yummy! My family had this tonight and it was very good. This was my first recipe in my instant pot. My rice was a little gummy. Do you know why this might of happened? My husband thought the chicken was a little dry. I'm not sure what I did wrong. Any suggestions? For those who are having messy explosions when doing quick release: There are different sizes of Instant Pot, and a small one may be filled too full if following a lot of family recipes. There is a Max fill line inside my pot for pressure cooking. If the food gets above that level, it can be released through the valve and cause a mess and possible damage to the Instant Pot. I am glad I read the comments. I did not quick release. I let it go naturally for 10 minutes then slowly released the rest of the pressure. You did not specify whether to set the he pressure cooker for high, medium , or low so I went with high. I used the sauce in my rice as commented on below but thickening the sauce for a glaze sounds good too. I did my rice in the microwave though but it still turned out good. I will make this one again. This recipe christened my 8ltr Instant Pot soon after the water test! Yay! The chicken was melt in the mouth and the flavour was moreish. Hubby was so impressed too. I substituted tamari for soy sauce, but I think next time I'll use coconut aminos for a lighter taste. Oh, and I ran out of honey, so used ½ cup honey and ½ cup water to keep the liquid ratio. Turned out scrumptious but I'll use the full cup of honey next time. Total success. Thank you! 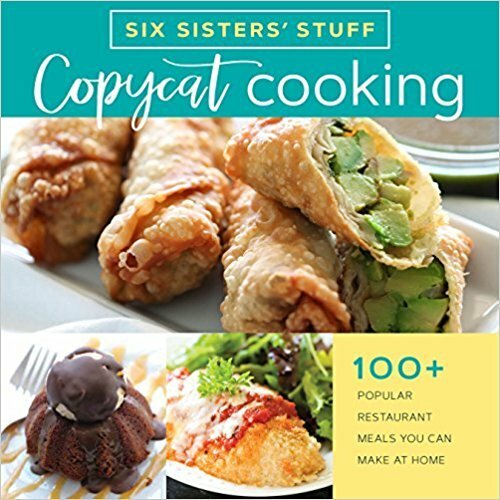 Look forward to trying more of your recipes in Instant Pot and bookmarking sixsistersstuff.com. Why didn't I buy an Instant Pot sooner?! Again, thanks for an easy and yummy first Instant Pot meal. Hubby gave me Crockpot Express and I had never heard of it!! It' a bit intimidating, but I plan to try one of your recipes tomorrow. So the chicken breast go directly into the bottom of the pan? Not on the trivet? My exact thought as well. Trivet or no? I don’t use a trivet. Hey! I'm making this in about an hour but have a question- my chicken breasts are frozen (I forgot to thaw them). How long should I cook the chicken? Also, does it need to be on the meat\stew option or the pressure option? Thanks in advance! How much cooking time would you add, if the recipe is doubled? I loved it - very tender chicken, but next time I will use half the honey. In my experience, 20 min. is too long for chicken breasts. I get much better results cooking 10 min., then doing 10 min. natural release. Chicken retains juices and is more tender. Plus no splattering! I meant to say boneless skinless chicken breasts. I totally agree. 20 minutes for boneless chicken breasts is way too long. Other recipes I've done using boneless chicken breasts is right around 10 minutes with a natural release of at least 5. As far as doubling the amount of chicken, from what I've been told the number of breasts doesn't change the cooking time. Pressure cookers cook each piece "individually" not as a whole, so 2 breasts or 4 breasts doesnt really matter. Loved your sesame chicken recipe for the instant pot. It was my first time using the pot and I’m happy I made your recipe! It was fantastic! My husband was licking the serving spoon! Thanks? made this yesterday but couldn't get the sauce to thicken! I followed the instructions and even added a little more corn starch/water combination but it still didn't help. Sauce ran all over our plates and didn't adhere to rice. Don't think I'll make this again, Disappointed. Absolutely Delicious. Easy and tender . We served this with steamed broccoli and Jasmine rice. I read through the comments, no one answered to the rice question. Do you rinse out the pot before doing your rice? We did not rinse out the pot before cooking the rice. But you can if you want. Yes you do rinse out your bowl. You want a fresh one to start the rice. This works very well with HALF the amount of honey (1/2 cup, not a full cup). 1 cup is way too expensive for me, and it’s plenty sweet with 1/2. Also, if you cut the chicken into chunks before putting in the pot (do while they’re partially frozen and it’s even easier to cut them) you can cook the meat in 4 minutes, with a quick release. Then just put the pot on sauté and stir in the cornstarch slurry and it thickens right up. Less than 15 minutes, including the time it takes for the pot to come to pressure with partially-frozen meat in it. Has anyone tried this recipe with agave instead of honey? I’ve read the recipe over and over... what do we do with the oil?? Hi there! You mix it in the bowl, with the ketchup, onion, soy sauce, etc. Then you pour it on! Hope this helps! I made this recipe and used 1 pound of chicken tenderloins in the crockpot instead of the breasts. I cooked them in the instant pot for 6 minutes and quick released once done. I also as a personal preference halved the amount of honey so 1/2 cup of honey and added 1/2 cup of water. I also added some hot sauce for a little bit of a kick to the sauce. I paired this with some jasmine rice and it turned out delicious!